Lavender oil comes from lavender (Lavandula angustifolia), an easy-to-grow, evergreen shrub that produces clumps of beautiful, scented flowers above green or silvery-gray foliage. The plant is native to northern Africa and the mountainous Mediterranean regions, and thrives best in sunny, stony habitats. Today, it grows throughout southern Europe, the United States, and Australia. The chief botanical constituents of lavender oil are linalyl acetate, linalool (a non-toxic terpene alcohol that has natural germicidal properties), terpinen-4-ol, and camphor. 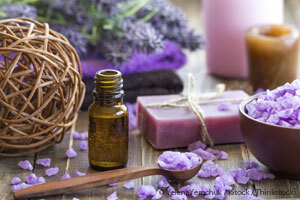 Other constituents in lavender oil that are responsible for its antibacterial, antiviral, anti-inflammatory properties include cis-ocimene, lavandulyl acetate, 1,8-cineole, limonene, and geraniol. Lavender oil is known for its calming and relaxing properties, and has been used for alleviating insomnia, anxiety, depression, restlessness, dental anxiety, and stress. It has also been proven effective for nearly all kinds of ailments, from pain to infections. 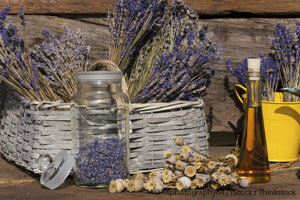 I am particularly fascinated by lavender oil’s potential in fighting antifungal-resistant skin and nail infections. 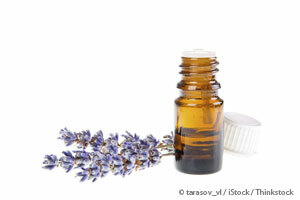 Scientists from the University of Coimbra found that lavender oil is lethal to skin-pathogenic strains known as dermatophytes, as well as various Candida species. The study, published in Journal of Medical Microbiology,found that lavender oil kills fungi by damaging their cell walls (a mechanism that I believe could apply to bacteria and viruses as well). The best part is that this oil does not cause resistance, unlike antibiotics. Treat various skin disorders like acne, psoriasis, eczema, and wrinkles. It also helps form scar tissues, which may be essential in healing wounds, cuts, and burns. Lavender can also help soothe insect bites and itchy skin. According to Texas-based dermatologist Dr. Naila Malik, it’s a natural anti-inflammatory, so it helps reduce itching, swelling, and redness. Improve your blood circulation. It helps lower elevated blood pressure levels, and can be used for hypertension. Lavender oil’s effectiveness is said to be brought on by the psychological effects of its soothing and relaxing fragrance, combined with the physiological effects of its volatile oils on your limbic system.Lavender oil can be applied topically or inhaled as steam vapor. Although dried lavender flowers are can be made into lavender tea, I advise against ingesting the oil, as it may lead to side effects, such as difficult breathing, burning eyes and blurred vision, vomiting, and diarrhea.